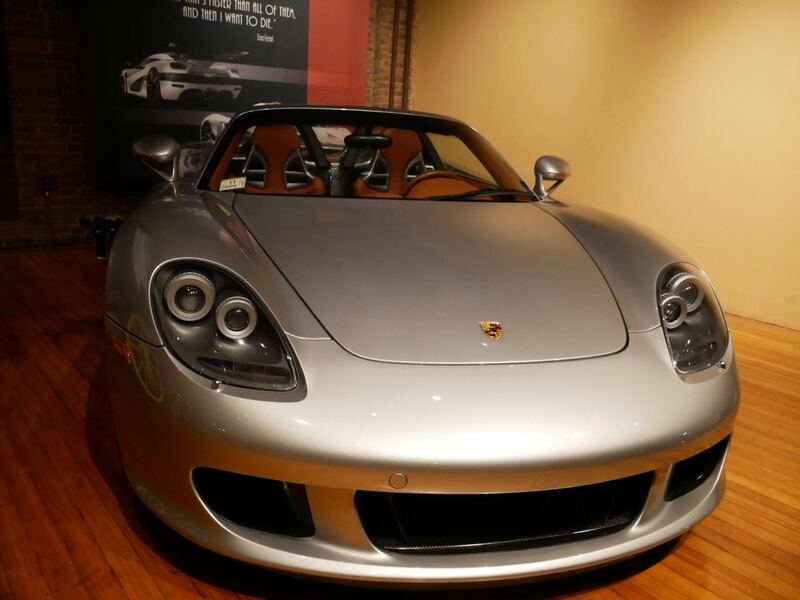 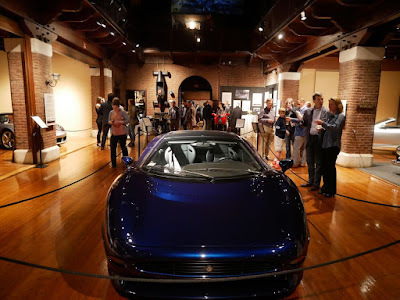 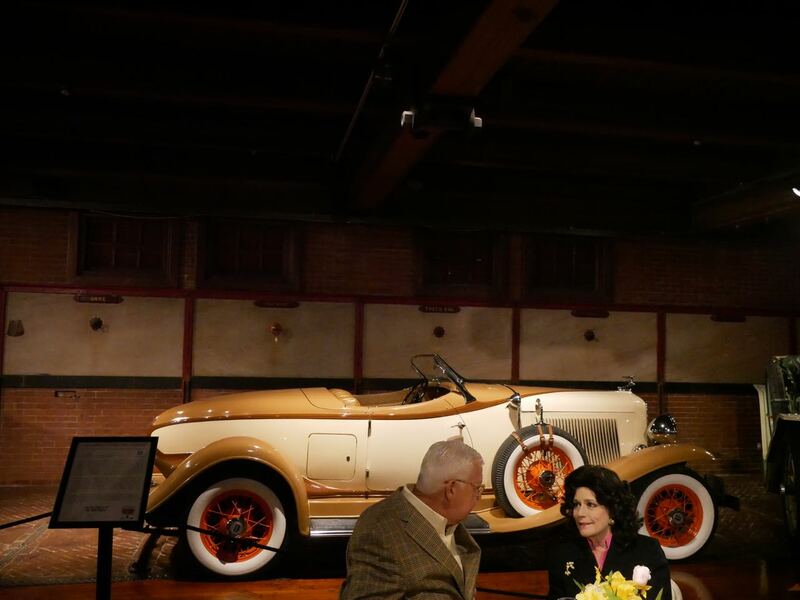 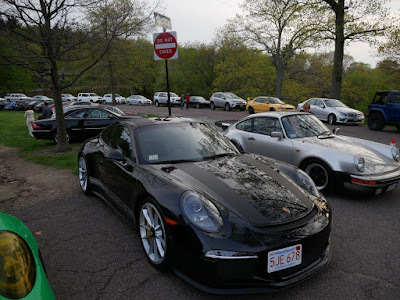 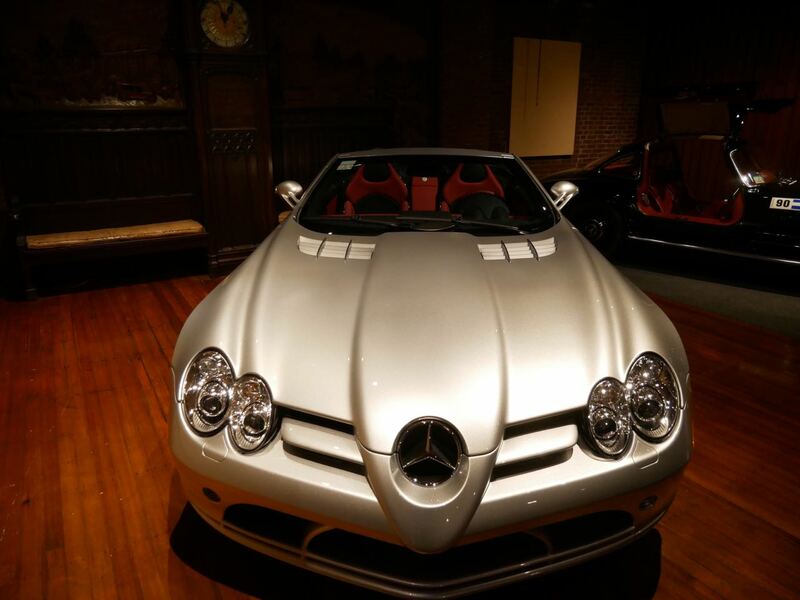 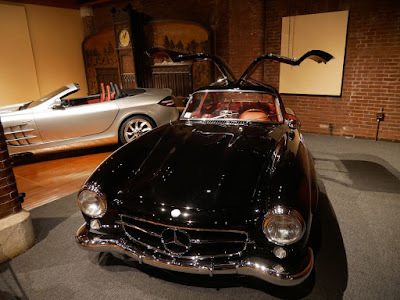 The Larz Anderson Auto Museum in Brookline, Massachusetts brought out the beauties last night and invited some lucky men and women to gawk at them. 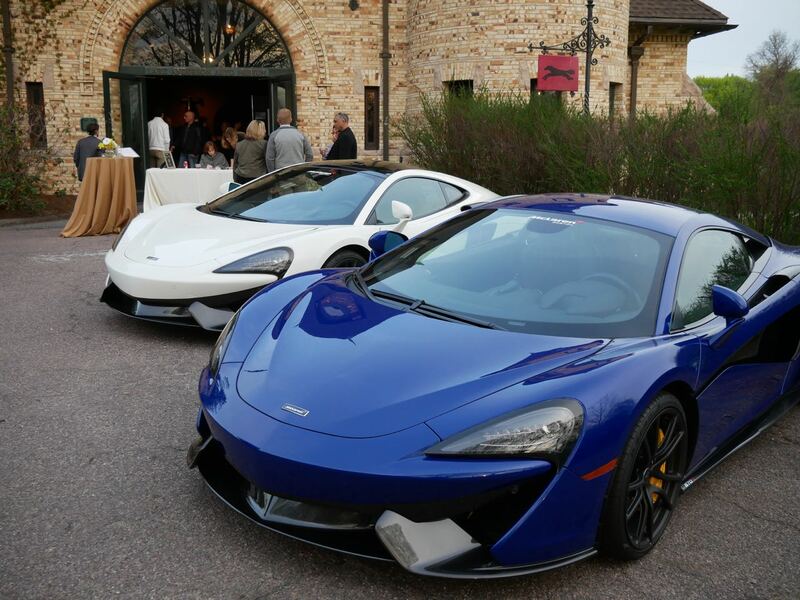 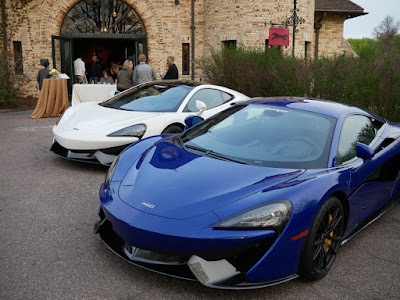 There was a Ferrari F12 tdf and a Porsche 911R and two McLaren 570Ss. 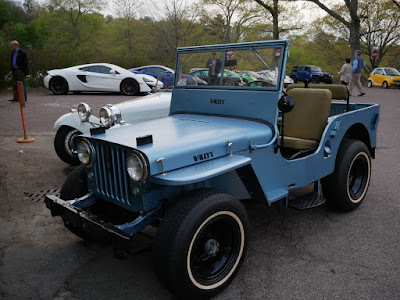 There was even a 1948 Willy's Jeep. 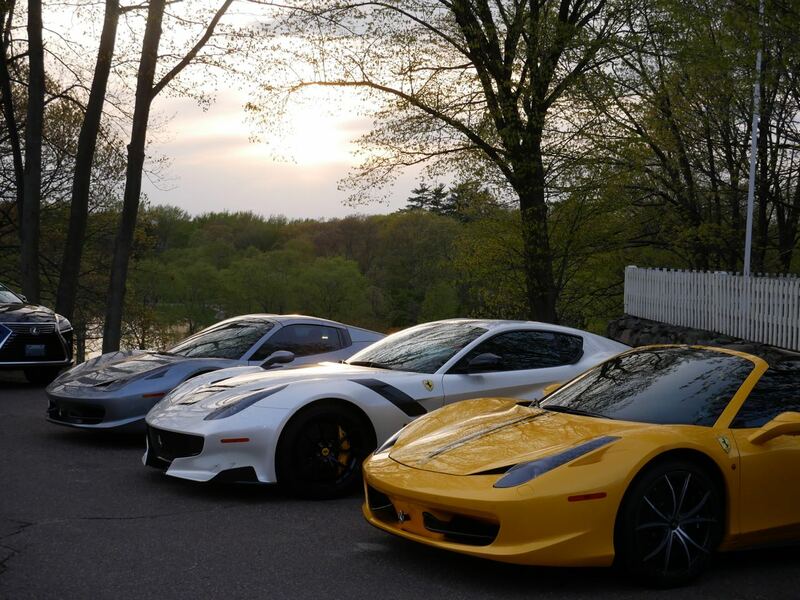 And that was just in the parking lot! 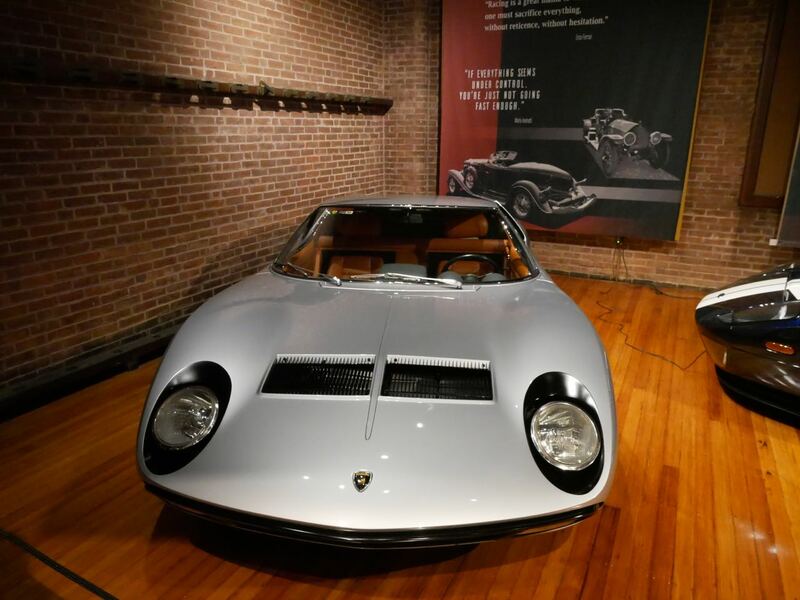 Inside, attendees were treated to a Porsche Carrera GT and a black 1955 Mercedes Gull Wing, a silver 722 McLaren-Mercedes SLR and a 1968 Lamborghini Miura along with a Jag XJ 220. 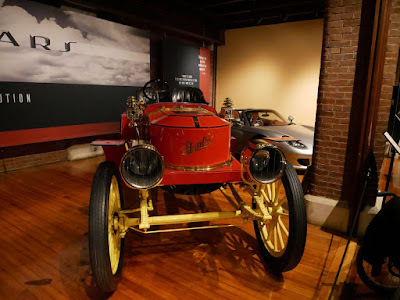 There was also an old Stanley Steamer. 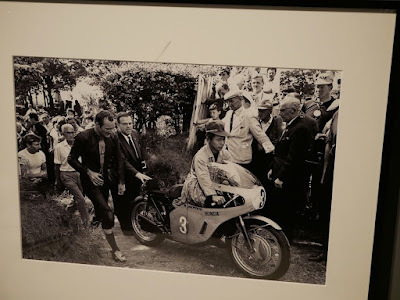 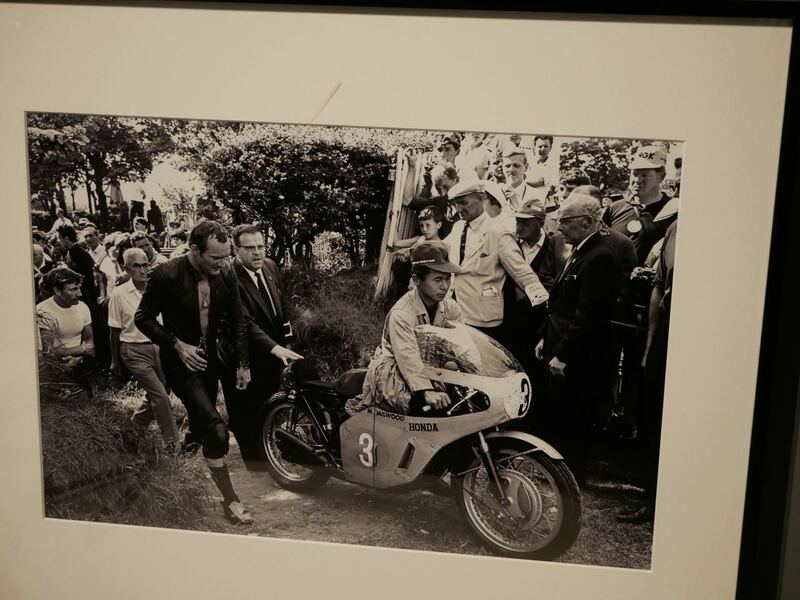 The walls were studded with the iconic and very beautiful photographs of Jesse Alexander and delicious food was served. This was the opening reception for the new show, SuperCars: Origins, Evolutions, which looks at special cars and their meaning.